possible when it comes to novel wearable devices. 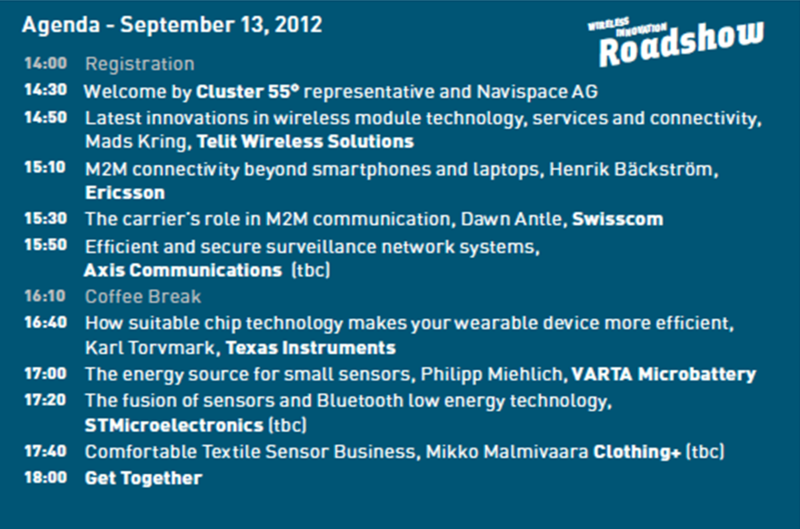 Meet experts from the Wearable Technologies business and “Cluster 55″ in Öresund, the exciting boarder region between Denmark and Sweden, which is the fastest growing IT region in Europe and one of the most innovative regions. Network with international experts and aspiring local startup companies to learn more and discuss the latest technology improvements and see what else is possible when it comes to novel wearable devices.